Compare to Uline H-2959 and Save! 3M HB-901 Tartan Handheld Filament Black Tape Dispenser is very portable and can dispense 1/2 inch to 1 inch Scotch Filament Tapes. Designed to cut through the glass yarn reinforcement for efficient application with the special cutting edge. 3M HB901 is made from high-impact, durable blue plastic. 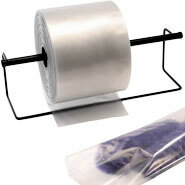 For use with filament tapes up to 1 inch (24 mm) wide. Lightweight carton sealing dispenser for one hand tape application.